A Business Intelligence (BI) system is your decision support system that extracts actionable information from business data and helps organization to make informed business decisions. EBSolute’s man-years of expertise and knowledge of BI Solutions help its Clients take informative decisions and highlight factors which impact the performance of the business from cost and revenue prospective. Our BI solutions provides multi dimensional view of business data, organized in a way that enables easy manipulation of data like filtering, aggregation, grouping, association and more. Our BI solutions can help you compete more effectively with your competitors by enabling you to make better and faster decisions; They integrate with your ERP or CRM systems to analyze the customer/product behavior. EBSolute's BI Solutions can help you gain useful perspectives from the past simultaneously allowing you to plan effectively for the future. They can help make sense of all the disparate data that flow through your organization, so that the senior executives have the right information required to grow the business and improve the bottom line, at the right time. Unlock the potential of Business Intelligence with the right Data Warehouse Solution. We evaluates, designs and implements Data Marts to large Enterprise Data Warehouses. It is critical to establish the right foundation Data Warehouse for your company. we have compressive experience in implementing BI and DW using Microsoft SQL SERVER using .Net and C#. Empower your business users with Advanced Business Intelligence Solutions!!! 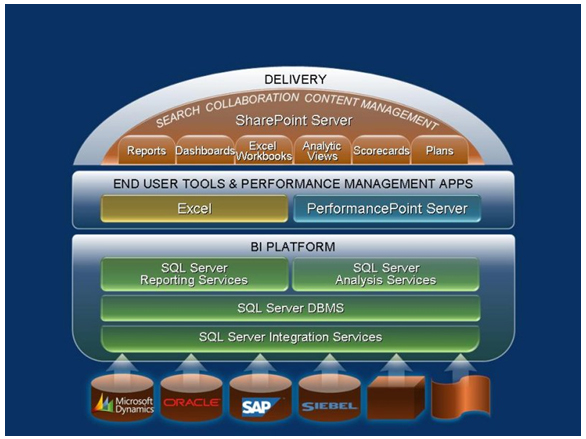 Microsoft SQL Server 2008 Analysis Services helps organizations to build comprehensive, enterprise-scale analytic solutions that deliver actionable insights through familiar tools. Microsoft SQL Server 2008 Integration Services provides a platform for building enterprise-level data integration and data transformations solutions. Microsoft SQL Server 2008 Reporting Services provides a complete, server-based platform designed to support a wide variety of reporting needs. This enables an organizations to deliver the required information where needed across the entire enterprise.